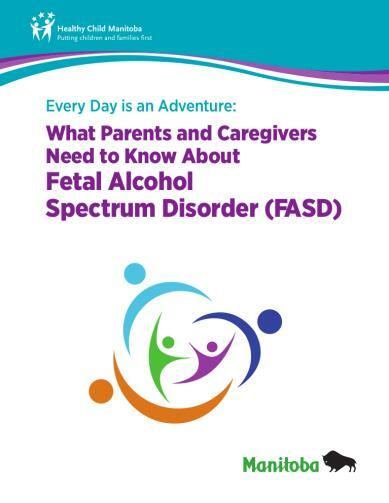 This valuable resource book for parents and caregivers of children and youth with FASD was published in 2018 by Health Child Manitoba. This book describes how FASD affects the brain and provides strategies to assist caregivers to decrease their child’s frustration and increase opportunities for success. This book includes strategies, stories and quotes from parents and caregivers who are caring for children and youth with FASD.